Three days of arts, concerts and live painting @ St. Gertrud Kirche Köln. 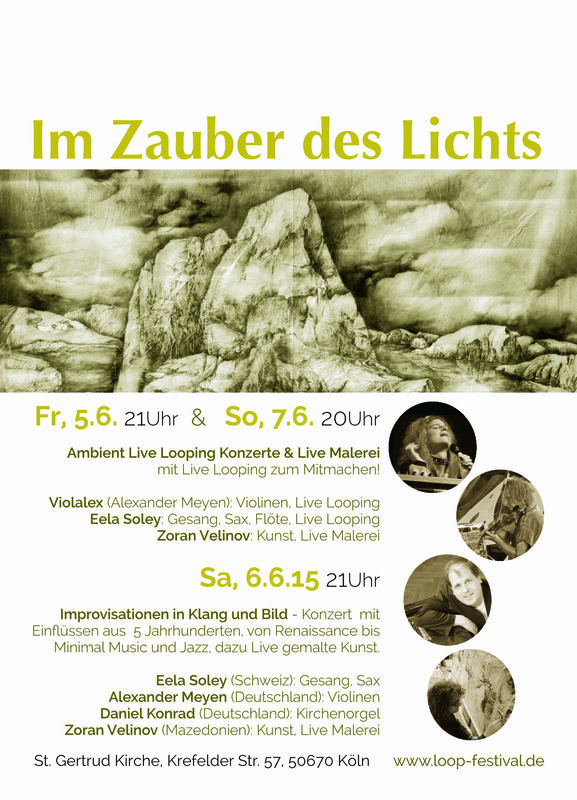 Ambient Live Looping Concerts & Live Painting. And Live Looping for the audience too! 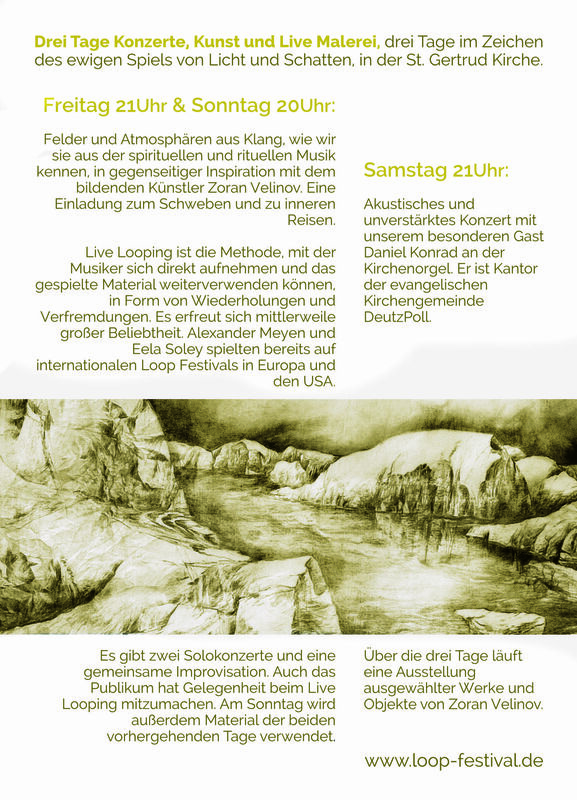 This entry was posted in Concert Announcement and tagged Alexander Meyen, Daniel Konrad, Improvisation, Live Looping, St. Gertrud Kirche Köln, Zoran Velinov. Bookmark the permalink.